dont take long time to make and really satisfactory meal. little olive oil and sprinkle little salt and pepper and keep aside. Heat the grill pan on medium flame and grease with little olive oil. both side till to grill mark. Keep the grilled zucchini in separate plate. minute. Now keep the grilled tortillas in separate plate. 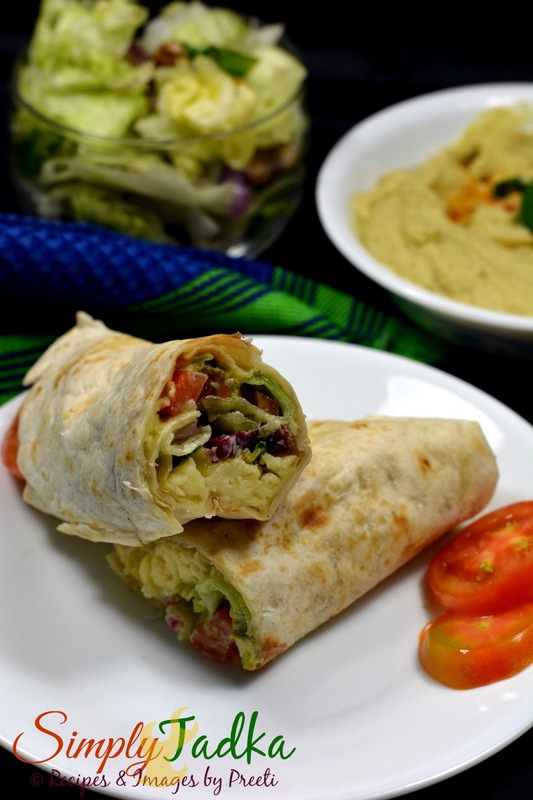 hummus recipe in this wraps. I like this wrap, healthy and different. very nice wrap, would love to dig in. Hey, I just read your blog and its really enriching. I like the way you have explained your Recipe. 🙂 We would like to invite you to MOODe platform, on which you will be able to write blogs with PRO tools and you can publish your blogs to the desire audience for free. You get 100-200 followers easily in a day and their are lot other Craving Benefits; Isn't that great. This wrap sounds so delicious Preeti. Adding avocado in hummus is a nice idea and the grilled zucchini sounds so yum.. This wrap looks very nice Preeti. 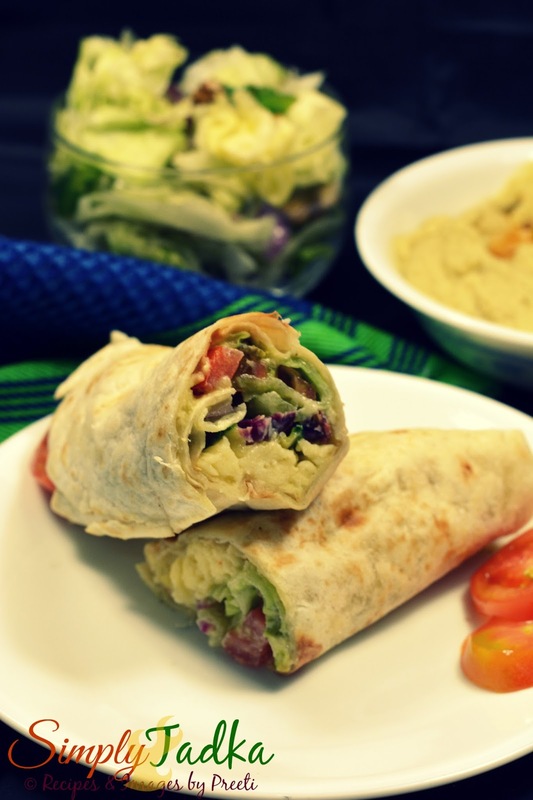 a unique twist to hummus – such a healthy and wholesome wrap!